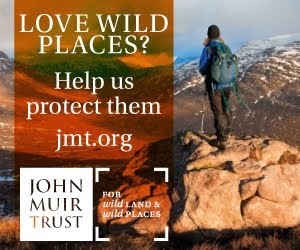 Whilst I was away walking the Scottish Watershed Terry Abraham was busy promoting and distributing the film we made last winter as well as working on his next film Life of a Mountain: Scafell Pike. Terry has produced a DVD with extra scenes and outtakes. It's available now from Striding Edge and will eventually appear in some outdoor shops. It's also available as a download from Steep Edge. I returned from the Wateshed Walk in time to attend a showing of the film at the Rheged Centre in Cumbria. It was somewhat unnerving seeing myself on the huge IMAX screen. The landscape sections looked fantastic at that size though. 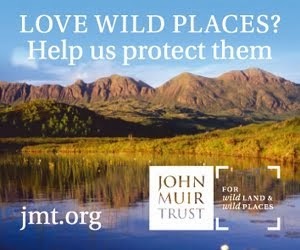 The film's Scottish Premiere will be at the Eden Court Theatre in Inverness on August 28. Terry and I will be there. Other showings aren't confirmed yet but Terry has entered the film for the Kendal and Banff Mountain Film Festivals, which both take place in the autumn. Terry was also interviewed about the film by UK Climbing.com and by Summit and Valley.com while I was interviewed for the BMC website. 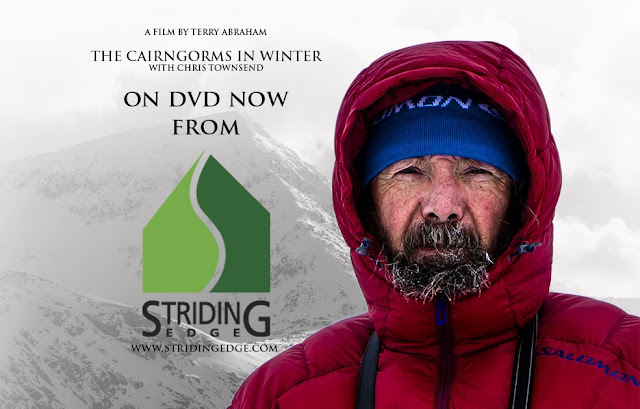 "Full of breathtaking scenery and Chris’ rich narrative ...... Terry Abraham does a masterful job capturing the bigness of the Cairngorms in his first big screen epic, which is certain to cement his reputation as an outdoor filmmaker". Gossamer Gear. 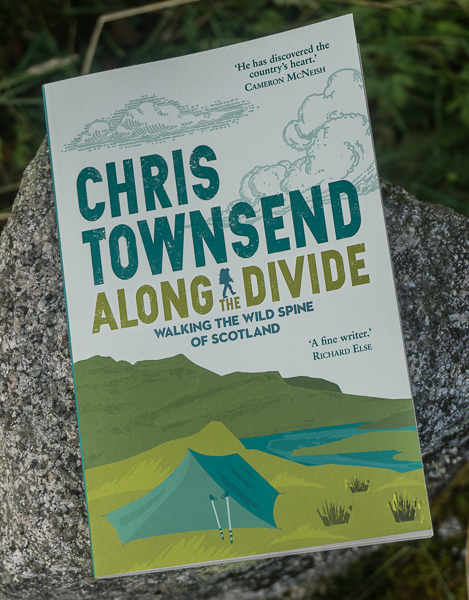 "Terry did a marvelous job weaving Chris’ narration with glorious landscape shots and close-up encounters with Chris where his knowledge and enthusiasm about the region shine through." Section Hiker. "a film unlike any other - a real love letter to the mountains ...... this film reflects the true nature of the landscape better than any other film I have seen about mountaineering. It's more like a painting or a symphony than a film as we understand it - a true work of art." Alex Roddie. "This is quite simply the best film about the British landscape ever made." Jake Lunniss. Any chance of this getting shown at the DCA in Dundee? Not going to be able to make a midweek evening in Inverness sadly! I don't know I'm afraid. Terry Abraham handles the bookings - as far as I know the DCA hasn't asked to show it. They probably don't know it exists.